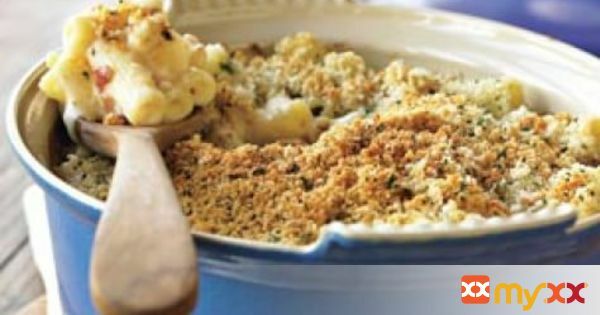 The cauliflower in this mac and cheese gives this dish a spin on an old classic. 1. In a small bowl, add soy sauce, water, mirin, sesame oil, sesame seeds, garlic, ginger, brown sugar, and green onions and whisk to combine. 2. Place salmon in two 6 inch square pans or two 8 inch mini loaf pans and pour half of the marinade over the salmon (reserve half of the marinade for serving). Allow salmon to marinate for 30 minutes in the fridge. 3. Add 1 cup of water to the pressure cooker pot and place trivet inside. Place the prepared pans inside, stacking them to form an X shape. 4. Secure the lid and turn pressure release knob to a sealed position. Cook at high pressure for 8 minutes. 5. While the salmon is cooking, pour reserved marinade into a small saute pan over medium high heat on the stove top. Mix 1 tablespoon of cornstarch with 1 tablespoon of water and whisk to combine. Once the marinade comes to a simmer, slowly pour in the cornstarch slurry and whisk constantly until thickened, 1-2 minutes. Set aside. 6. When pressure cooking is complete, use a quick release. 7. Serve warm over rice (or cauliflower rice for paleo) and drizzle the teriyaki sauce over the dish. Garnish with reserved green onion.